The World is changing day by day, and what was innovative last night turns into ashes the following morning. Some people find it quite exhausting, however, there are lots of entrepreneurs and technology geeks that find such mainstream of society quite fascinating. As a regular consumer, you have the right to choose a more easygoing lifestyle. Although, each businessperson should understand the importance of adaptivity as the element of any project success. This approach is also applicable to an e-commerce project. In this case, the flexibility and modernity of the website is a crucial aspect of the business success. Selecting a theme for any kind of activity you have to evaluate it from different angles. First of all, consider it as a platform aimed to satisfy every visitor with its functionality and design. Hence, you won’t lose potential clients. Another point is the website management. Check if the theme is user-friendly enough. Buying a theme make sure you can manage it without any additional assistance so that you prevent the necessity of an extra investment in web design. 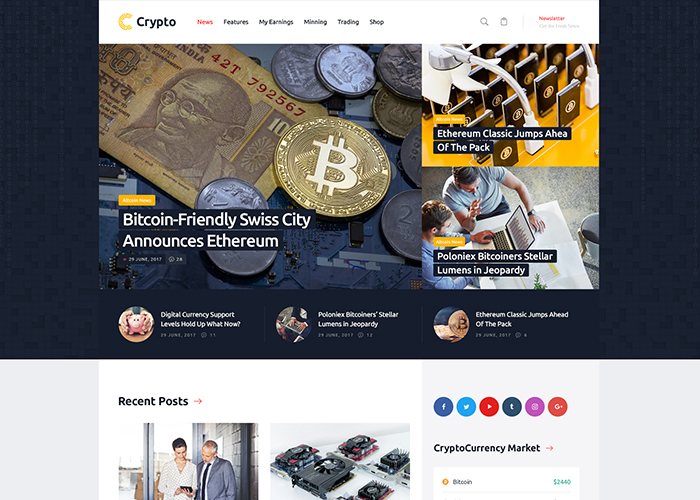 This collection of cryptocurrency WordPress themes dedicated to entrepreneurs and financiers, that have a strong urge to provide their services in a stylish and contemporary way. A carefully crafted website is an important element of any business that can either improve or completely destroy the reputation of your company. Which is why we suggest you this modern and responsive cryptocurrency WordPress theme. Choosing a mobile-friendly theme you ensure the most productive mobile performance. This theme is perfect to deal with Bitcoin, Monaco, Nem, Verge, Stellar, and other cryptocurrencies. You will have lots of pre-made options to choose from, including professionally designed pages on different topics. Pricing: A license for Hoverex comes in at $56. Are you a skillful business and real superman in your niche? Do not let the web design issues become your kryptonite. 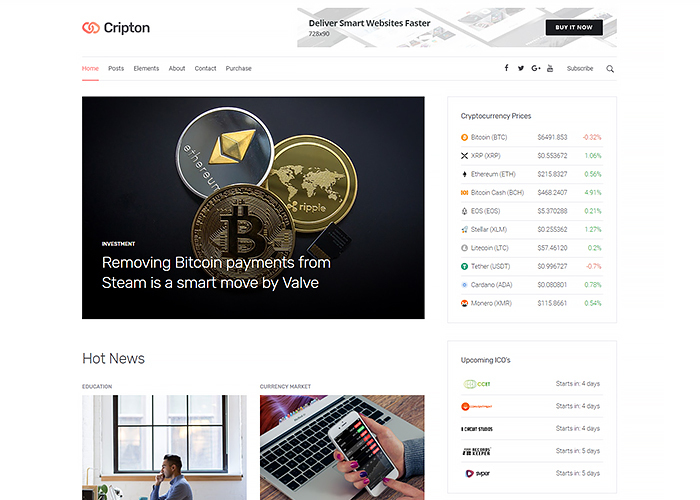 Crypton is one of the cryptocurrency ICO WordPress themes on the market which features clean design and premium functionality. With this one, you can launch a blog, magazine, of a fully-fledged crypto shop. This theme is compatible with WooCommerce plugin which significantly simplifies the process of the e-commerce project management. Also, it includes MailChimp, Essential Grid, and Slider Revolution plugins. Pricing: A single-site license for Ink costs $49. The number of business blogs has grown over the past few years. However, there is always a room for experienced marketers and financiers that want to share their knowledge with the wide audience. 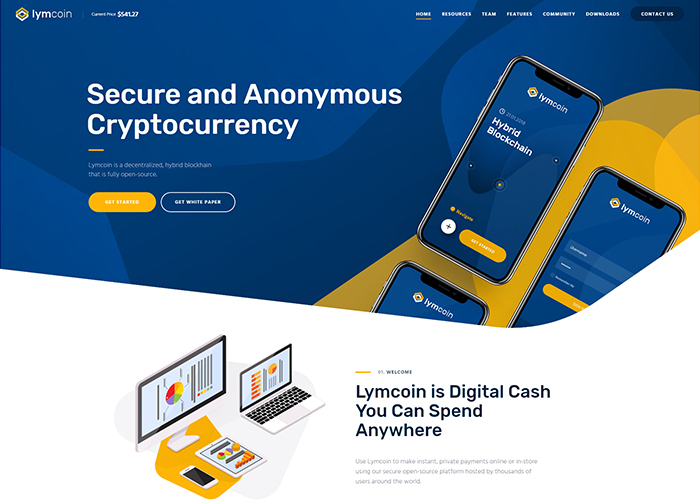 Buy a Lymcoin theme to cover all blogging aspects with one single tool. Thanks to the specific design it fits perfectly cryptocurrency-related blogs. Use progressive blog settings to customize blog feed, change layout options, pick different blog styles, and enhance your posts with an amazing set of 20+ Post Animations. Pricing: Lymcoin will cost you $53 for a one-site license. Finding a sharp and powerful theme from the enormous amount of cryptocurrency WordPress themes available online is not a little deal. You have to make sure the range of theme options comprises peculiar functions that make cryptocurrency website work for the benefit of the project. 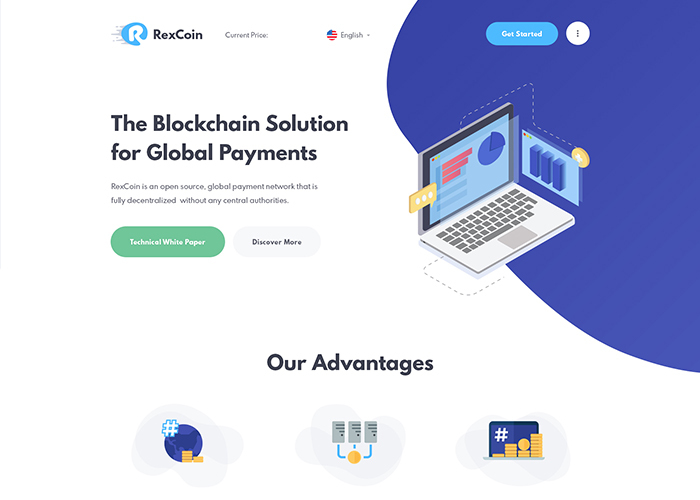 The RexCoin theme is a superb solution for those desiring to sell and buy cryptocurrencies online due to compatibility with ThemeREX Donations plugin. This addon allows you to send and receive payments via the website. Pricing: A single-site license for Ink costs $56. Do you want to catch the attention of all the potential clients from the first look at your website? The Monyxi theme has a crisp and vivid layout that will not go unnoticed. This theme has several gorgeous Home Page layouts and dozens of custom shortcodes. If you want to establish a dynamic communication with your customers and followers use a pack of cryptocurrency advisor plugins. Here you can find LearnPress, bbPress, and Power Charts. With these plugins, you will create charts and forums without effort. Pricing: $53 will get you a license and support for this theme. 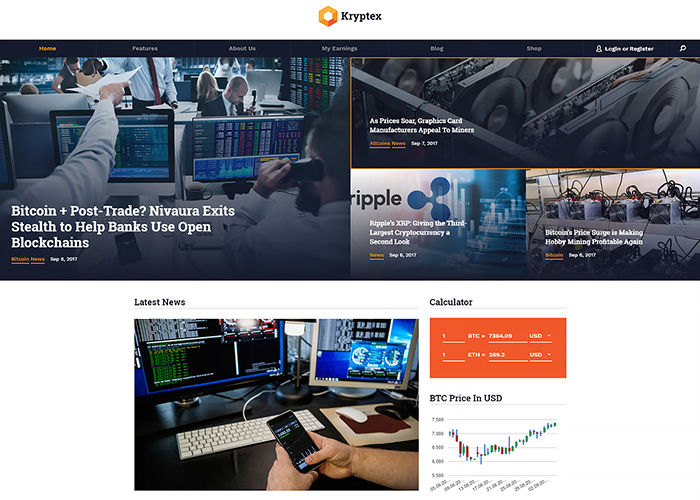 Kryptex is a stunning example of premium cryptocurrency WordPress themes that could charm even the most nit-picky client. You will find plenty of benefits for your business here. First of all, the fact of the absolute theme responsiveness makes it highly efficient in terms of mobile users targeting. In fact, you will be able to reach out to much more people, as the valid and clean HTML code guarantees the best positions in any search engines. Thus and so, your website will become visible which bring the popularity to your company. Pricing: Kryptex will cost you $49 to use on one site. How to represent the company and services in a decent and remarkable way? 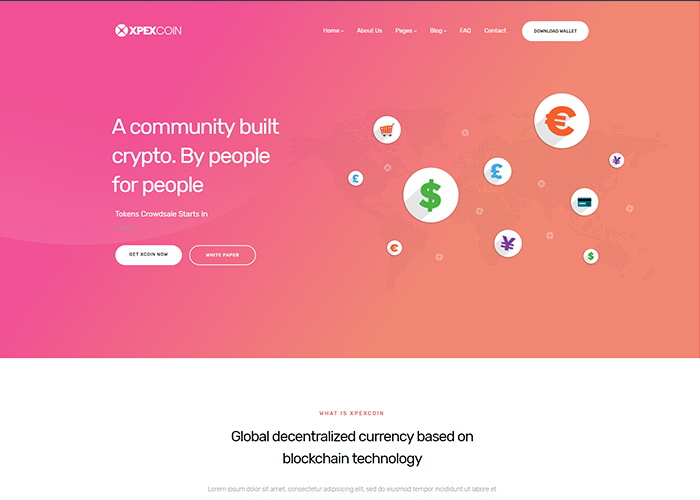 A stylish and responsive cryptocurrency WordPress theme suits best for the case. 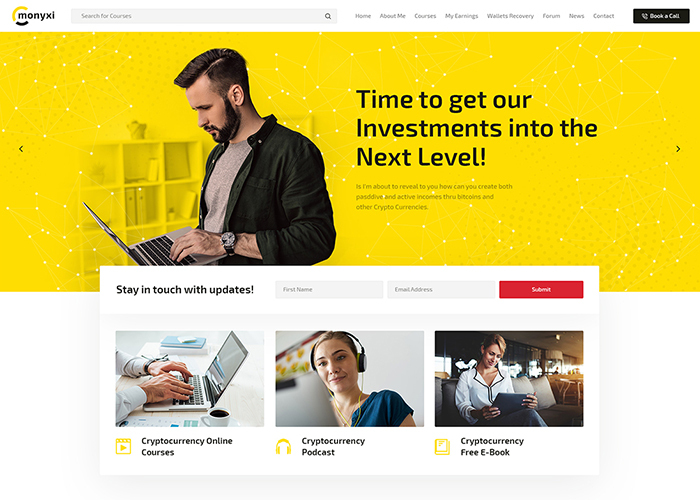 Crypterio is a versatile web template that covers the investment topic. It has a clean design that helps all visitors to focus on the content and invest their time and money productively. There are tons of ready-made skins and content blocks. All demos and website elements can be easily modified by means of the popular Visual Composer. Pricing: This one is coming in at $59. When dealing with the website traffic and the conversion level, the SEO-friendly theme is the only option for you to achieve great results. How to know if a ready-made theme is optimized properly? For a start, evaluate the visual component of the theme. It has to look preeminent on any device, regardless of the screen size. Also, find out the quality of the code and if it is a well-structured HTML5/CSS3 code then you can freely use this theme. The Poishax has it all and has a bunch of advanced theme options. Pricing: This is one of the more inexpensive premium options, coming in at $49. 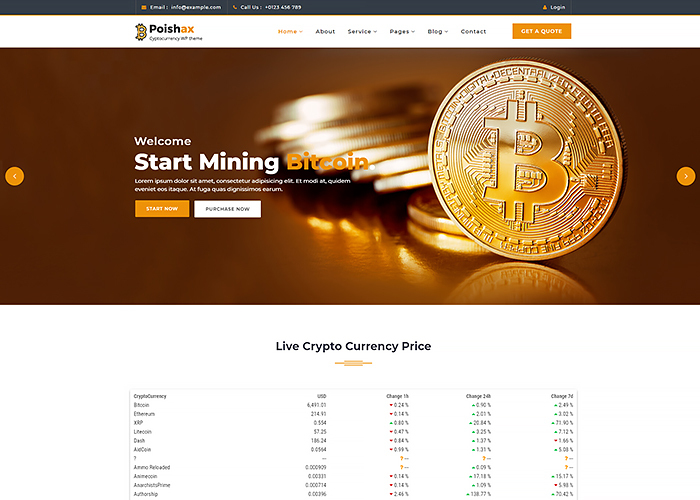 Here is a responsive and vibrant cryptocurrency WordPress theme that will help you to launch a crypto mining farm with ease. Aside from 2 Home Page skins, you get tons of awesome widgets. The XPEXCoin includes the MailChimp and Contact Form 7 plugins. The first one allows you to adjust an effective newsletter dispatch so that you get all your subscribers aware of business news and your latest posts. While the Contact Form 7 helps you manage different contact forms and establish an inverse relationship between you and your client. Pricing: A one-site license for XPEXCoin goes for $49. Cryptic is a classy and striking WP theme made by the Elite Envato Author. You can see its high rating and lots of enthusiastic feedbacks on it. There is a good reason for it. Using Cryptic you can list an unlimited number of coins. Its versatility does not end here, as this theme is compatible with the Visual Composer. This is the content builder which you can use to create and manage your content avoiding any interaction with the code. In addition, there is a theme options panel with Google fonts and flexible color pallet. Pricing: Cryptic will cost you $39 for a one-site license. 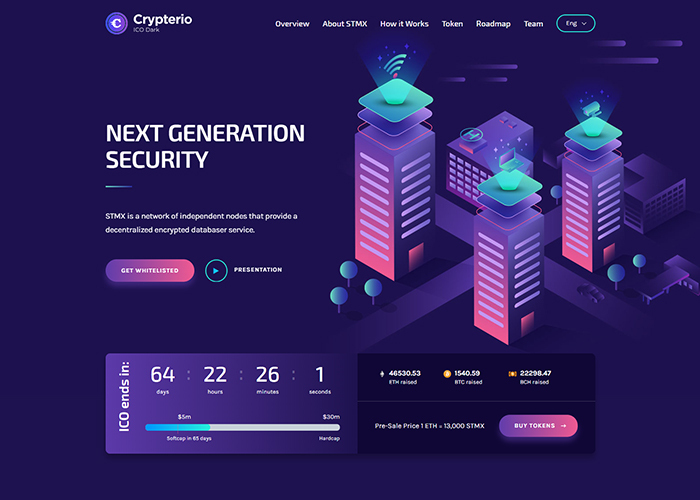 Turning to the crypto WordPress themes is a great option for those looking for a theme that covers a variety of business need. Each theme from this list fits amazingly both blog and e-commerce website. The Cryptro theme has 9 portfolio layouts, 6 gallery skins, and 14 blog options. 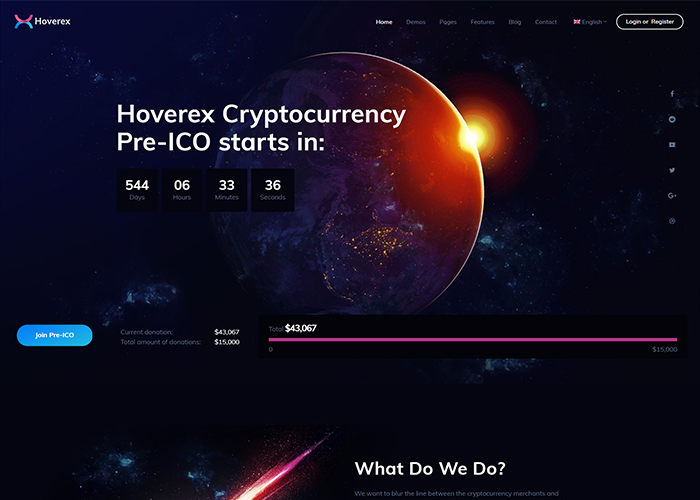 At the same time, you can enhance it with such features as ICO Countdown and Cryptocurrency Converter. It comes with an advanced Demo Importer so you can choose the exact piece of content you need and import it much faster. 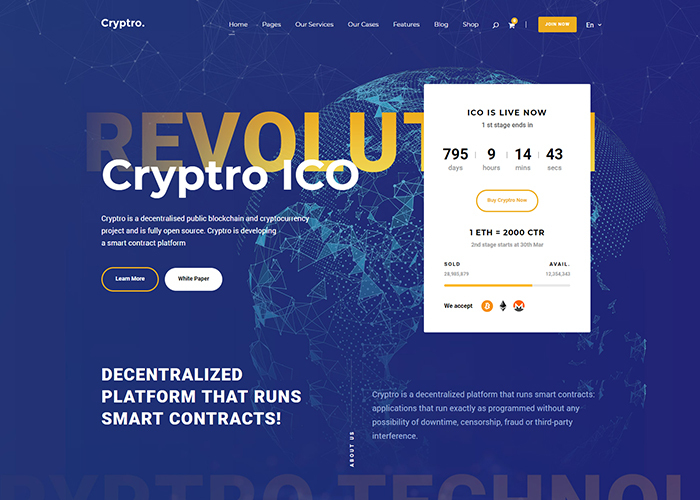 Pricing: Cryptro will cost you $39 for a one-site license. 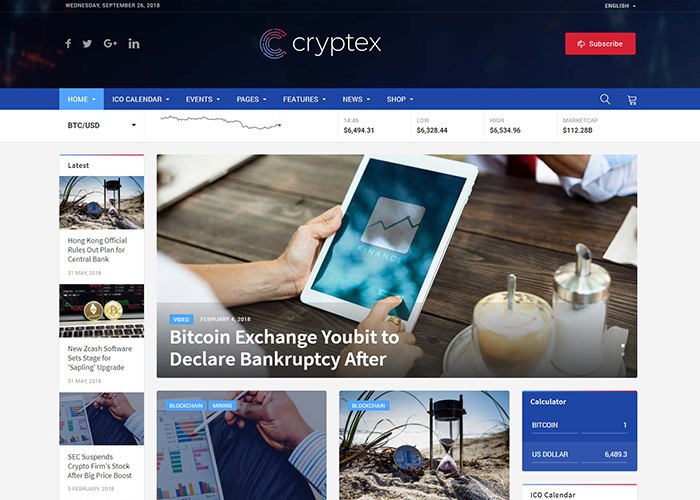 Cryptex is a bright and light WordPress theme based on Bootstrap, which is a powerful framework that enhances the website capabilities. The theme looks like a fabulous piece of premium web development due to the complete responsiveness. Its code is highly-optimized for all search engines and comes rather simple to index. This theme can be used whether for a multi-page or a single page website. You will build a potent e-commerce website and manage it expertly with the robust WooCommerce plugin. Pricing: A license for the theme comes in at $39. The Cripton theme includes endless opportunities for the website customization. With this theme alleviating the need to learn the code as this theme features easy Elementor page builder. This content creator consists of a bunch of content blogs that you can operate using drag-and-drop functionality. Another advantageous feature of the Cripton theme is a full compliance with General Data Protection Regulations requirements, meaning you can provide quality services through the website absolutely legally. Pricing: Cripton will cost you $50 to use on one site. Are you interested in ICO business and believe you can bring any value to the business community? It would be rather logical to take some cryptocurrency WordPress themes into the consideration. Do not be afraid of a dazzling and colorful theme as such design could catch the visitors attention with ease. 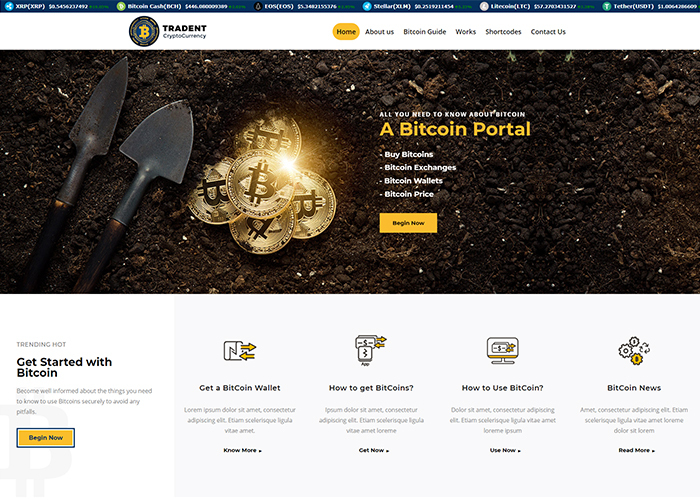 It comes with 2 exquisite homepages, also includes the About, Services, How it works, BitCoin Guide, and Portfolio pages. You will get tons of cryptocurrency widgets, one of which is a precise BitCoin Calculator. Pricing: A one-site license for the theme goes for $59. Your ability to adapt to a changing World of technologies is a matter of survival on the modern market. Buying a theme with a modish design and innovative features you protect your project from the failure. 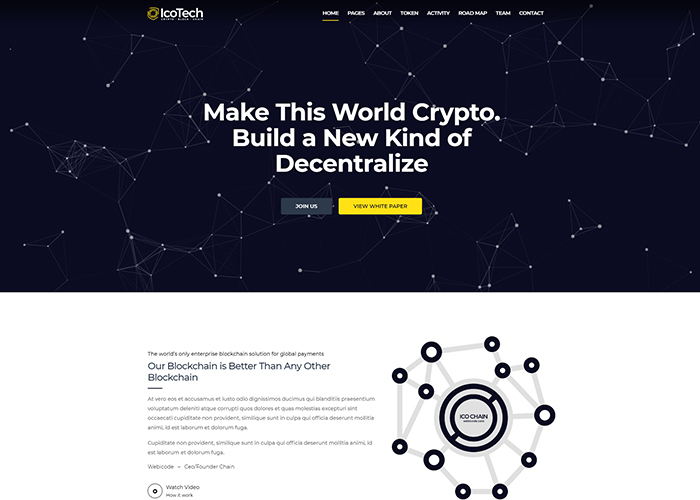 The IcoTech is one of such cryptocurrency WordPress themes. It goes with a responsive and Retina-optimized layout. You will find it flexible and highly-customizable as you have a Visual Composer at your disposal. Parallax is another supportive feature of the IcoTech theme. It allows you to create adjust the background and equip it with the smooth scroll effect. Pricing: This is a cheaper theme that costs only $29. 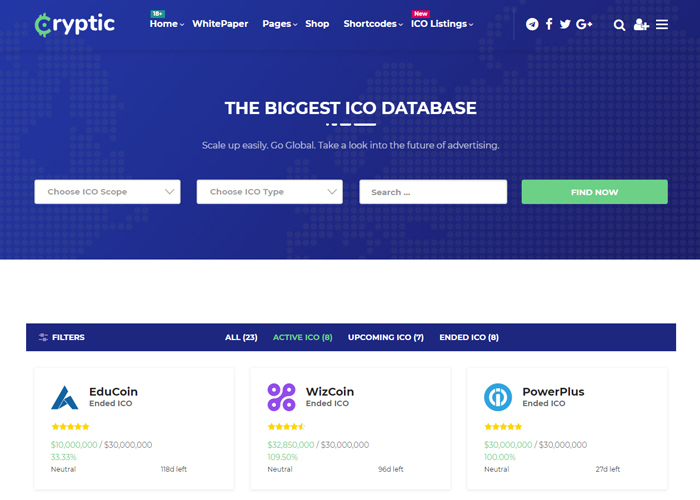 These 10 themes are some of the best crypto and ICO themes you can find for WordPress, so you’ll find a great fit for your website. 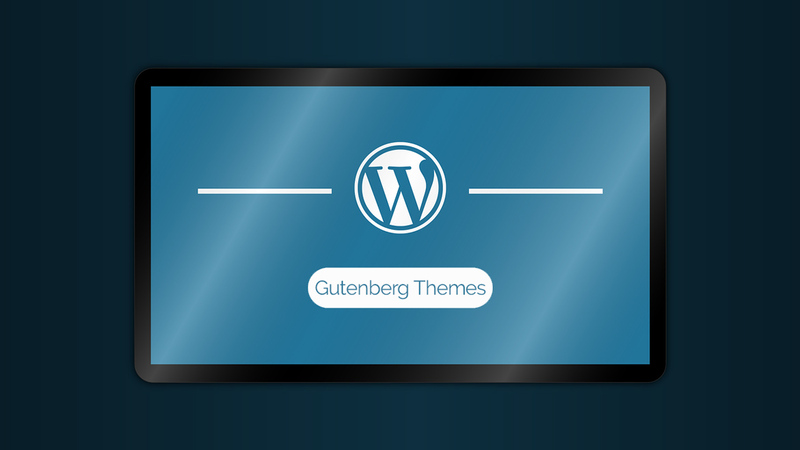 If you need themes compatible with the new Gutenberg editor, check the best Gutenberg-ready WordPress themes. Or if you’re a writer and you’re looking for new themes, check these out. Henry Rise is a CEO of ThemeRex, ThemeForest Power Elite Author. He loves to help people build their business online. Every business begins with the right choice of a micro-niche WordPress Theme.